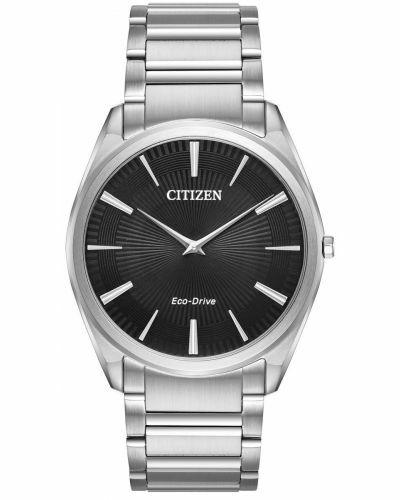 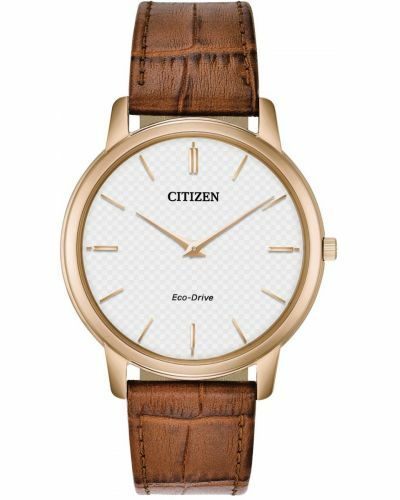 This sleek sophisticated men's watch is brought to you by Citizen as part of their Stiletto collection and features a 38mm hypo-allergenic steel case and gold plated bezel with a mere 4.7mm case depth. 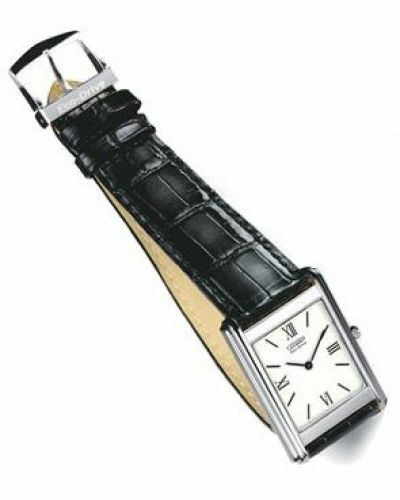 Housed beneath protective scratch resistant sapphire glass lies the alluring black serrated sunray dial and gold stick hour markers and hands. 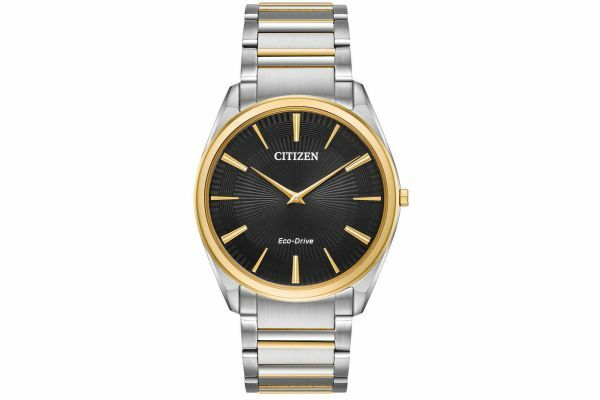 Set upon a suave brushed stainless steel link bracelet with subtle gold plated highlights, the Stiletto watch fits comfortably on the wrist. 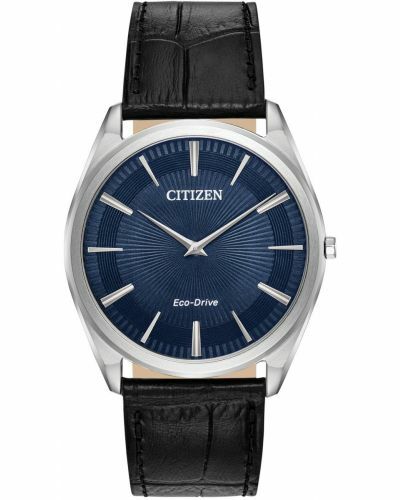 Powered by Citizen's patented Eco-Drive technology, this watch will never require a battery change and is charged by light. 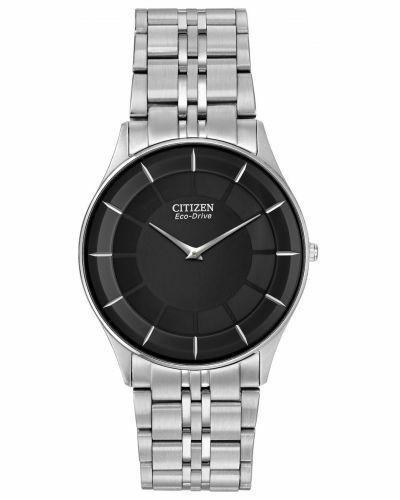 The Stiletto watch is water resistant up to 100 meters and comes complete with a 5 year guarantee. 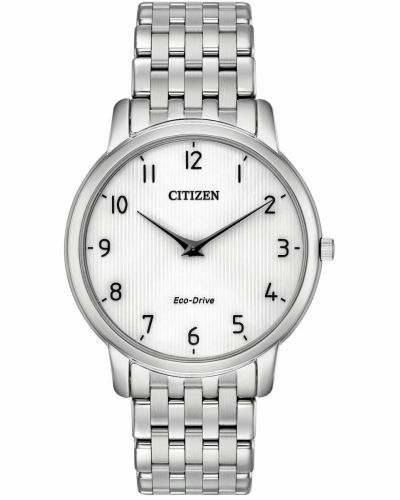 For us to size your new Citizen Stiletto watch as accurately as possible, please take a look at our downloadable Watch Sizing Guide.